Be not afraid, the title of this book could not be further than the truth in relation to the content of it. Hopeless spent 3 weeks in the No 1 spot of the New York Times Bestsellers! So, you don’t have to take my word for it – this book is Awesome! There is something that sets Sky Davis back from the other 17-year-olds in her school. Senior year will be the first time she has gone to high school. Sky’s mother is a bit quirky. Well she is her adopted mother, but Sky would say she couldn’t have done better if she had picked her out herself. Sky has been home-schooled up until now but she wanted to have the experience of high school and get a taste of the real world before going off to college. She also has no cable television, mobile phone or access to the internet, meaning no Facebook, Twitter or Google. Of course she was meant to be experiencing senior year with her best friend and neighbour Six, only she has gone on a foreign exchange. This gig isn’t exactly going to plan! When she arrives at school she finds she had inherited Six’s reputation (well, you lay with dogs you come up with fleas, not that I’d ever dream of calling Six a dog but you get my drift). Lets just say Six is a bit on the loose side, if you know what i mean and while Sky has made out with plenty of guys she hasn’t gone there with any of them. The completely bore her truth be told but she is good at keeping up appearances. Then she meets him, the guy that attracts her and repels her at the same time. She knows he is bad news, she knows she should run, he has a temper – she has seen that and the stories about him scare the hell clean out of her. There is just something about him though, she is intrigued, wants to know more – she can’t stay away! When a chance meeting has him become her running partner, with Karen’s (the mother) blessing there is no avoiding him. She is drawn to Dean Holder like a moth to a flame. It seems the stories she has heard aren’t all true. Some are but have earned a fair bit of embellishment along the way. It seems when someone doesn’t know something or the story isn’t gritty enough they just make it up to suit themselves. There is something he isn’t saying though, he gets upset with her for reasons she can’t fathom. He tries to stay away from her, she tries to stay away from him but it just isn’t working. They are again pulled together. The problem is that Holder knows a truth, a truth that Sky doesn’t know exists. She doesn’t know the truth exists because she doesn’t realise there is a lie. Not just one lie but a whole tally of them. When this truth starts to unravel Sky doesn’t know who she can trust, who she can turn to and where she can run. How is she going to get to the bottom of the mystery that is her life and who is still going to be around when she gets to the other side? My poor children were seriously neglected the day I read Hopeless. Yes I do mean the day. I usually leave my reading until they are in bed, but I had started it late the night before and only got a chapter read, I couldn’t wait until the next night. I woke at 6am to get up to one of the kids and said to myself I would read a few pages to get myself back to sleep. Ya right, I couldn’t put it down until it was finished. Then I was disappointed cos it was gone, I felt bereft and wished I had savoured it. Imagine my excitement last night when I hear that we are going to get Holder’s version of the story! I can’t wait to find out what is going on inside his head! I have read a lot of books already since the beginning of the year, I love intense books and just can’t get enough of them. Hopeless if firmly secured in my top three books this year alongside Rebecca Donovan’s Reason to Breathe and Barely Breathing, which is on top? It depends on the day! 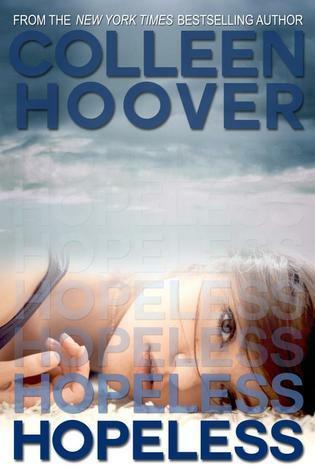 I will guarantee you, stake my reputation on it, if you read Hopeless you will be enthralled from the very first word and unable to put the book down. The bad thing about this book? There isn’t another one yet to dive straight in to! You can buy Hopeless on Amazon, Kobo, iTunes and anywhere else you normally buy your eBooks. 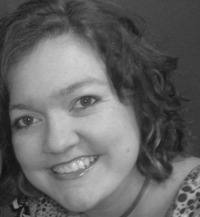 Colleen Hoover, busy and all as she is was generous enough to answer my interview questions. I hope that you enjoy them! Disorganized. Procrastinator. Ninja. Positive (despite being so disorganized). Happy. How did it feel to see yourself as No 1 on the New York Times Best Sellers? Surreal. I’m still in shock that the book hit number one and even more in shock that it stayed for three weeks in a row. Do you have a preference to whether you write a series or a stand alone? I don’t. It really just depends on the book. However, I will say that I’m not a fan of cliff-hangers, so I’ll try to never leave a book hanging. I loved the ‘Butterfly effect’ in Point of Retreat. I often see reference to it on your Facebook page. Did you think it would stick? Oh, I didn’t think anyone would read the book…much less did I think it would stick. I wrote Point of Retreat immediately after finishing SLAMMED, so I had no readers at that time. Once the books started taking off and I would see the references, it was really awesome. Who were your easiest and hardest characters to write for? Your favourite band, The Avett brothers featured quite a bit in the Slammed series, was it easy to fit the quotes in so well with the chapters? It was hard, because they have so many great lyrics that fit. The hard part was picking which ones to cut. Hopeless was AMAZING and it up there as one of my all time best reads, You think Griffin Petersen (yum) would make a great Holder, who do you think would make a great Sky? I have no idea. I’ve had a lot of people say Jennifer Lawrence, but I never picture the characters in my head when I write. But after readers pointed out Griffin, he definitely fit what I could see as an image for Holder. Far from being run of the mill Romance, your books have tackled heavy issues yet you managed not to make the reader feel weighted down, what was your inspiration behind both the Slammed series and Hopeless? Entertainment is always my only inspiration. I don’t write to education, inform or impress. I just write to entertain and I feel that even with tackling heavy issues, the read should be given lighthearted, fun moments as well. I never talk about what I’m writing next. I have started many books that never get finished, so I don’t want to give readers an idea that something is being released when there’s a good chance I’ll change my mind. I find it much easier to release when it’s all complete. If you could pick a random guy out of a book to have all for yourself who would it be? Probably Lucas from Tammara Webber’s Easy. You are only allowed 3 luxury items for the next month, what are they? Cell phone, laptop, and a butler. Do you prefer sweet or Savoury? What is the most important lesson you have learned in life? Tanya love reading ur reviews but with this one not sure if i should read as i have a girl in college, i know the book is good if u say so , will i wont I ?????? Hey, oh do. This book isnt one of my filthy ones 😉 its amazing for completely different reasons, the story is about the past. Its a 5* read! Look who i bumped into today!